Rapid Bus Sdn Bhd targets a five per cent increase in ridership by end of this year from the current average of 400,000 passengers daily. NST file pix. 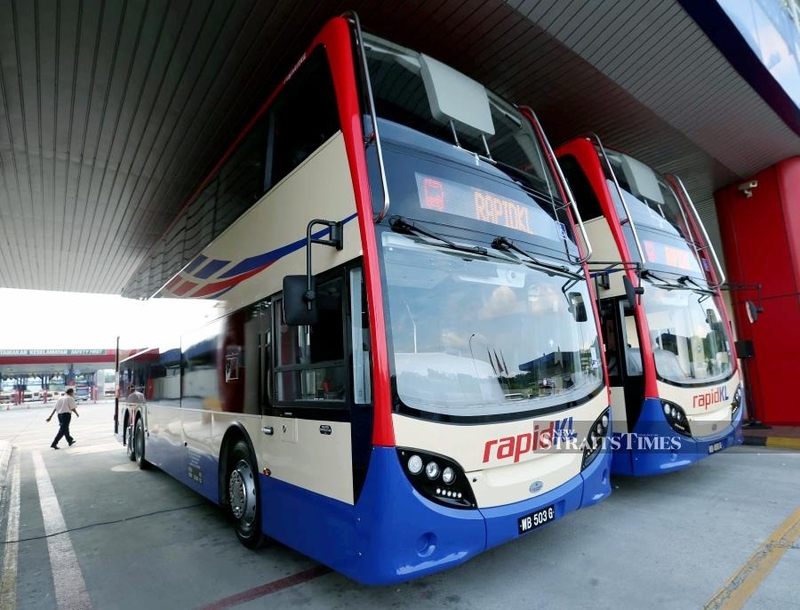 KUALA LUMPUR: Rapid Bus Sdn Bhd is targeting a five per cent increase in ridership by end of this year from the current average of 400,000 passengers daily. Chief executive officer Muhammad Yazurin Sallij Muhammad Yassin said the projection would be mainly driven by the company’s effort to leverage on the cashless payment system throughout its network of buses. “We also revamp the buses operations to avoid redundancy in our network, thus allowing us to better distribute our resources efficiently,” he said during a familiarisation tour of Rapid Bus’ cashless programme here today. Muhammad Yazurin added that passengers would be given a 20 per cent off for the cashless payment at Rapid Bus, as part of the company’s initiative to boost ridership. “This allows the payment process in buses efficient as passengers would only need to tap their Touch ‘N Go card, thus saving about 15 per cent of their journey time,” he said. He said each passenger would take up to six seconds in bus for the conventional payment method, while the cashless system saves about five seconds in payment. Meanwhile, students, senior citizens and disabled people are entitled for a 50 per cent discount, applicable for those owning a concession card. Passengers also can get the MY100 or MY50 unlimited pass for more savings, which can be activated via MyKad or MyTentera with the same functionality as Touch ‘N Go. MY100 comprises 30 days unlimited journey for LRT, Monorel, MRT and BRT, while MY50 applicable for all Rapid KL and feeder busses for MRT, except BRT. Rapid Bus is one of subsidiaries of Prasarana Malaysia Bhd, which currently operates about 1,132 busses for 175 routes in the Klang Valley. He said Rapid Bus would initially embark on its cashless payment programme in stages for the Ampang Corridor, followed by Cheras, Sg Besi & Jalan Klang Lama (April 29), Damansara, Jalan Ipoh and Jalan Pahang (May 13) and Federal Highway (May 27). Prasarana owns and operates the country’s urban rail services that include three LRT networks and the KL Monorail, in addition to operating the MRT line. Prasarana also owns and operates the stage bus services in Kuala Lumpur, Selangor, Penang, Perak and Pahang.